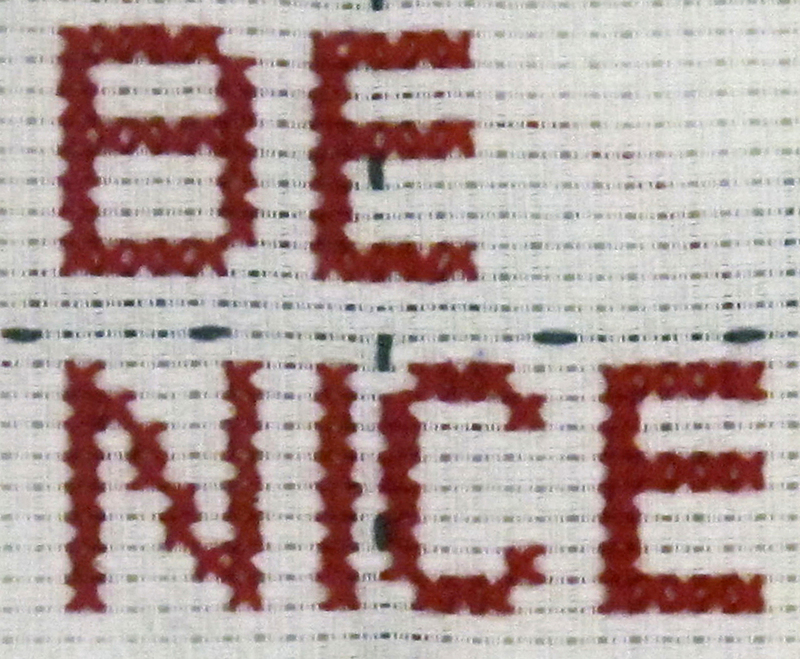 Brooklyn students embroider their intentions: Part 1 | Be Nice. I need this one in my kitchen too! 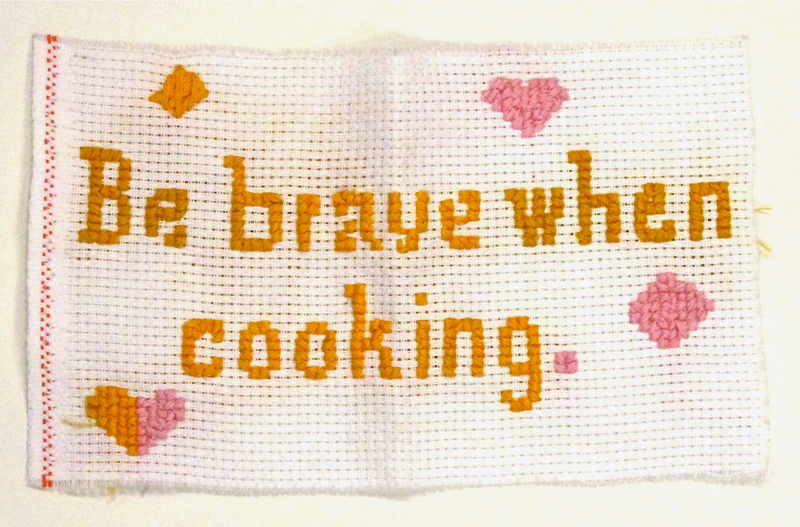 I always go by a recipe rather than experimenting in the kitchen–it’s something I would like to change too. Good luck Jamilabelah! This is something I imagine a lot of people say to themselves. I hope that everyone finds that eventually they can take a break from “being strong” and just coast on the good and stress-free parts of their lives. Nicely done Noelio! 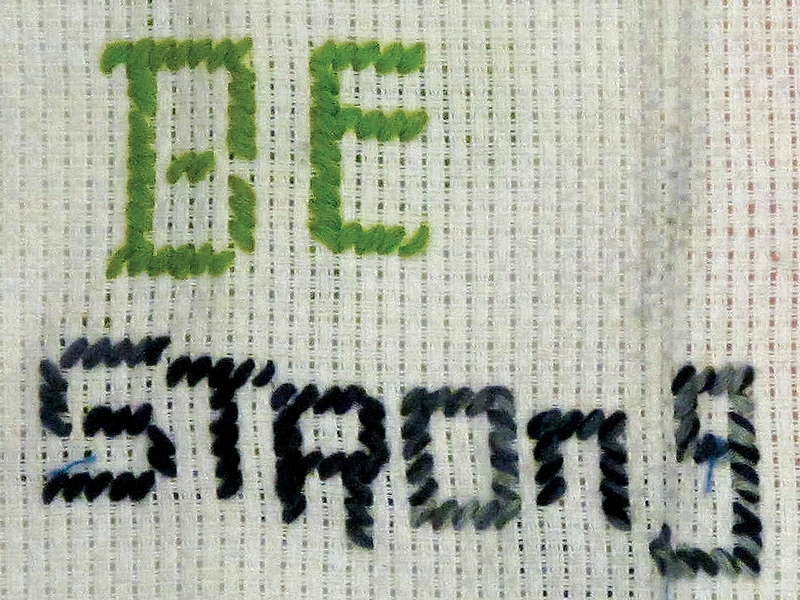 Rico puts it simple, “I made this to remind myself to be nice. That’s my story.” Not a bad story Rico! Terrific work! You would see the cooking one in a store, certainly a piece of advice that people need. Great sense of humor!